What do we think about Sam punching Dean? I'm still on a blissful high from this episode! I don't think it was that Nick didn't recognise his wife, he was just hoping that it was Lucifer coming to him as his wife just like it was all those years before (and I did wonder myself for a moment). 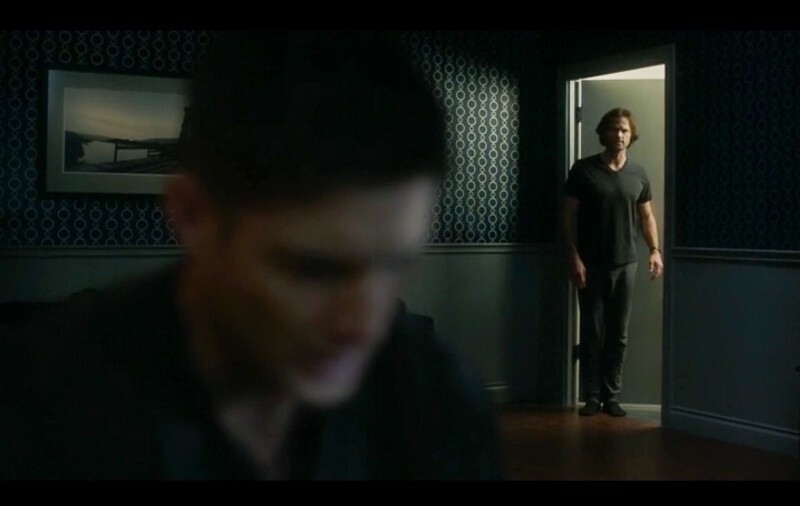 I actually liked this episode, which is confusing because A) I don't like S14, didn't even like S13 or most of S12 so I am (or was) regrettably very close to done with this show and B) Bucklemming, like the poll says. :-) But I found it emotionally gripping and (EXTRA surprisingly) rather tightly written. And the performances, for both the main cast and the characters of just this ep, were off the charts. I loved the interview with the twin and the parallels to Sam and Dean. I do want to ask other fans, though... was it more disturbing and horrific than usual? I mean, for the show overall? I generally dislike horror, which is why it's weird that I love this show so much--it's despite rather than because of the horror, though SPN taught me that I can appreciate a good scare. But I don't know if it was because it was so well-acted, but I could not take the murder scenes. I had to watch them with my eyes squinted, on mute with subtitles. Trying to figure out why this ep in particular got to me that way. There have only been a few episodes that were worse in that way for me (the one where Alastair tortures Meg and it's really sexualized jumps to mind). a) Sam did not bring up how much being trapped in a cage with an archangel broke him, even though the parallels are identical, and Sam would have a really strong argument for how bad that would be. b) Dean did not bring up that when Sam asked him to let him die to save the world back in season 5, Dean did, and how unfair it is for Sam not to give him the same respect and autonomy. I just wish the writers would remember the past.